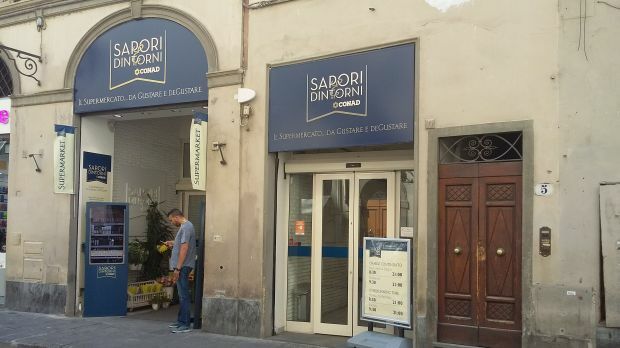 Sapori & Dintorni is Conad's premium supermarket and premium private label line and these function as promoters of one another. Conad is to modernise its existing private labels and add some new ranges this year, Italian magazine GDO Week reports. The Italian grocer’s aim is to turn its private labels into ’real brands’, Conad Sales Manager, Francesco Avanzini announced at Marca, an annual Italian private label tradeshow. In order to achieve this, the retailer is redesigning the packaging for existing lines, highlighting Conad’s daisy symbol more clearly as well as communicating product provenance and other added value elements. The quality and healthiness of many SKUs is also to be increased and a stronger focus will be placed on partnering with small and medium sized Italian suppliers. Among the new lines is a free-from label called Alimentum which includes gluten-free and lactose-free products. The other two new launches are Conad Essentiae, a range of shampoos, conditioners and soaps containing natural plant extracts and Conad Baby which spans baby food and babycare products. The existing PiacerSi label will be divided into two new sub-categories: light and everyday food. Conad recently revealed in a press release that its private label share grew by EUR200mn last year and now represents 29% of turnover. This overhaul will not only make the somewhat aged design look more modern but also allow some currently listed products to further highlight their strengths. The updated and added lines will make this possible without sacrificing consistency. Still, it is a necessary investment due to changing shopper expectations and competition from other Italian grocers, which are also upgrading their own private label lines. Added value labels have been the focus of Italian retailers for some time, and the trend is towards making these more and more specialised through sub-labels and new dedicated lines. There is of course a balance between defining the customer value and avoiding the confusion caused by a plethora of different ranges. Conad has a sensible approach in this regard. Apart from the new lines mentioned above, in 2016 it launched a new umbrella private label called Verso Natura Conad with sub-brands dedicated to the organic, vegetarian/vegan, environmentally friendly and Fairtrade segments but all incorporating the values of the umbrella label. The Conad Essentiae is an interesting addition that we think reflects increasing competition from drugstore specialists like Acqua & Sapone, Crai’s various drugstore banners and dm which recently entered Italy. See what the private labels of Italian retailer's look like on the shelf and to 20,000 other retailer store photos across Europe by subscribing to our retail intelligence platform. Sign up for a free trial here.